Book n Gauge is a literary event for book lovers, held at Debonairs bookstore. There's book and/or poetry readings and music - what's there not to love. 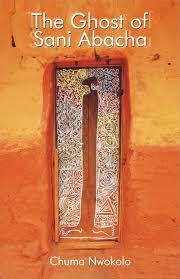 Past editions featured writers such as Lola Shoneyin, Toni Kan, Jude Dibia and Bobo Omotayo. I knew of it but never really had the time to attend one. So imagine how happy I was when I was able to go to yesterdays event, which was the 10th edition. 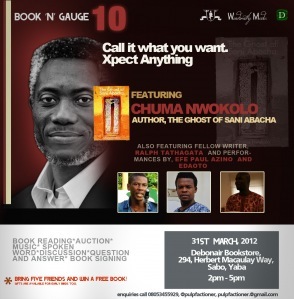 Even better, it featured Chuma Nwokolo reading from his latest book The Ghost of Sani Abacha. I really enjoyed Diaries of a Dead African so obviously I couldn't miss the opportunity to listen to Mr. Nwokolo read from his latest book. The Ghost of Sani Abacha contains 26 short stories of life and love in the aftermath of General Sani Abachi (a former military dictator in Nigeria) and Chuma Nwokolo read "B.O", a short story about a man with offensive body odour and "The Las' Foolscap", a short story about a father writing a confessional letter to his two children while in prison. I've been dying to read this book since I first heard about it, and from the stories that were read I know I'm really going to enjoy it when I finally do. 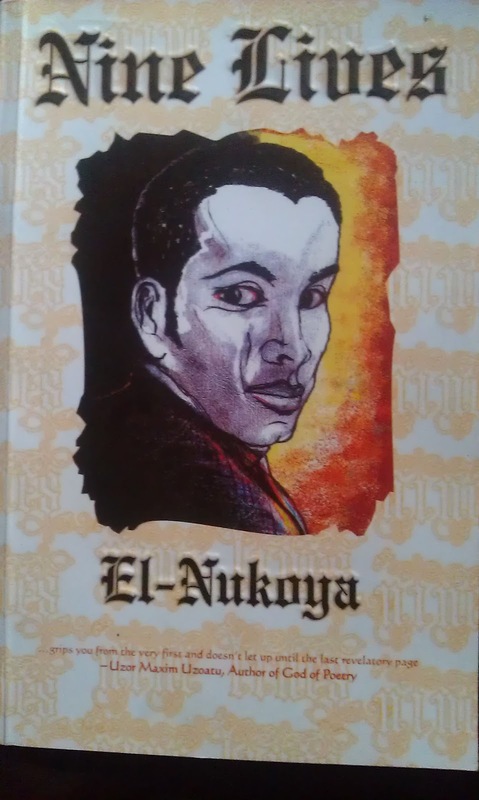 I must add that Debonairs bookstore has a very lovely Nigerian literature section, so I treated myself to two new books, Nine Lives by El-Nukoya and Two Gone ... Still Counting by Oyindamola Affinnih, in addition to The Ghost of Sani Abacha.